If you haven’t rushed to your nearest theater to see Finding Dory yet, you need to! Stop reading right now. Rush to the theater. Okay, now that we all know what an amazing movie it is (I venture to go as far as saying it’s as good as Finding Nemo!) let’s proceed with today’s project! 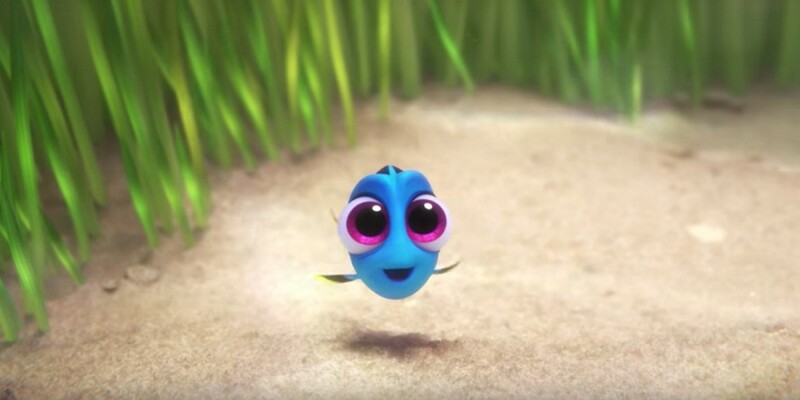 As Dory is the heroin of the movie, it makes sense that Pixar gave us a bit more background on her, and everyone is loving Baby Dory! She’s so small, cute, and cuddly even if a bit confused. But hey, that’s Dory. 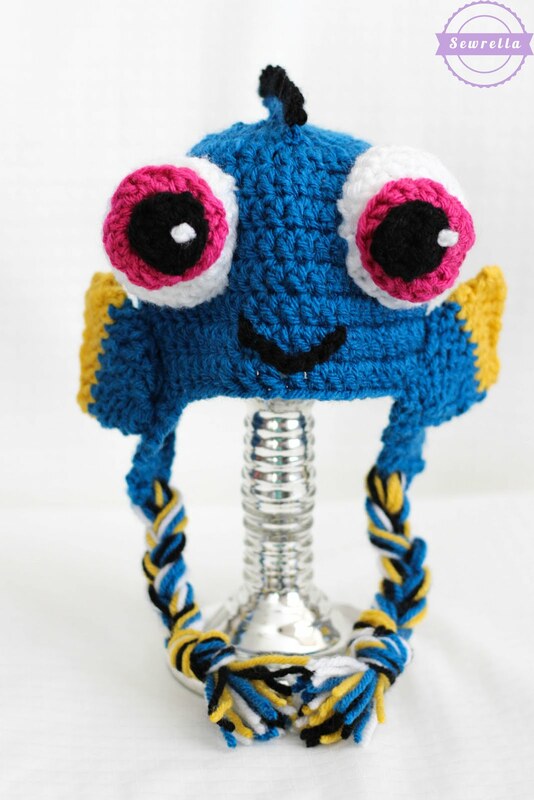 So I whipped up a Baby Dory hat for all the munchkins out there who want to look just like their favorite fish! 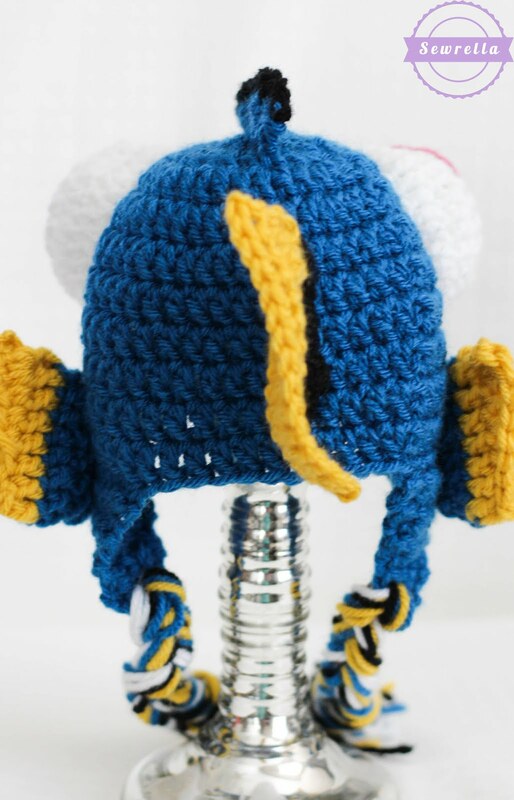 Make this adorable hat in any size below, then make and add the character embellishments. OH – and just keep swimming! *No matter the size, use Sapphire for the hat. *After making the body of the hat, continue with earflap pattern below. Don’t be like Dory & forget to PIN this pattern to your Pinterest boards! 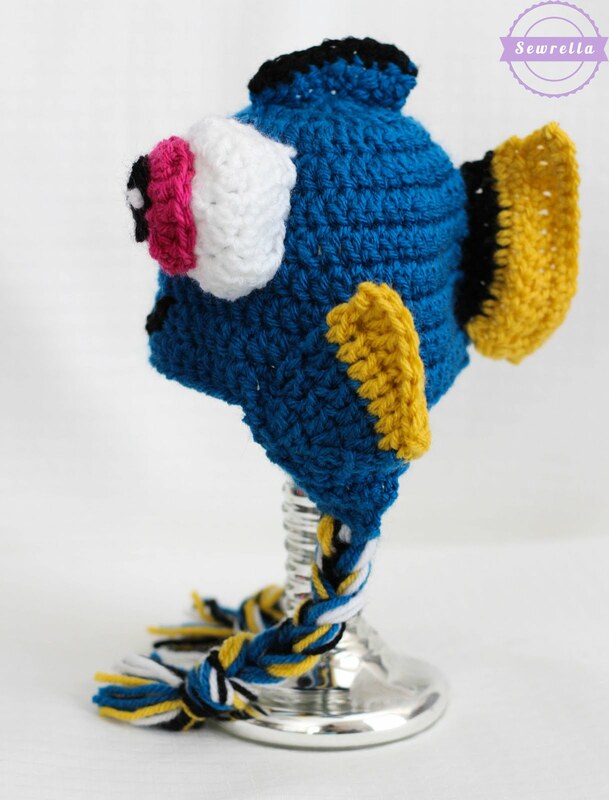 I hope you all enjoyed this pattern, swim on over here to my blog anytime! « Enter the Summer Giveaway! Thank you so much for sharing. 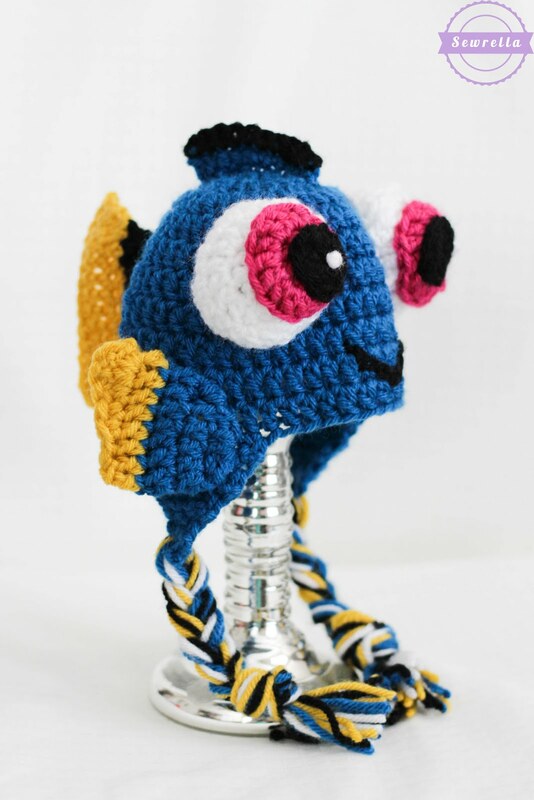 I can’t wait to make this Dory hat. Thank you so much for posting this. I have finished the pieces as a present for my great niece but I got a little confused on putting it together. Did you stuff the eyes with polyfil or is that just how they stand once attached? I don’t see many instructions on attaching everything, are there more details in the pdf pattern? Thank you for posting this. Making it for my granddaughter and am a little confused on the ear flaps. It says chain one and then SC in next 10 stitches? Where are these 10 stitches? On the last row of the hat base! I’m having a huge problem keeping my seam straight. 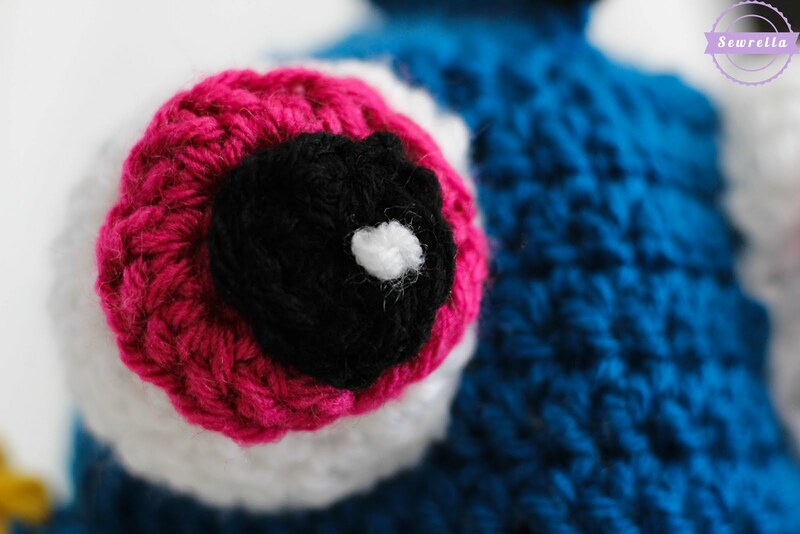 Do you count the ch 2 as the first stitch in the round? Nope you don’t count the Ch 2 as a Dc. Make sure you are stitching in the first st (same as Ch 2) and not stitching in the last sl st from the row below. This can make your seam come out slanted. So looking forward to making this for Christmas presents for daughter and grand children. How many skeins of sapphire yarn did you use for the adult hat? For the child’s hat? I am having to order the yarn on line and want to make sure I don’t run short. Thanks again for sharing the pattern. You should only need one skein for each hat, no matter the size! If you are doing newborn or the baby sizes you may get two hats from one skein. Hope this helps! Thank you so much it does help. Off to the shopping page!